This post is in reply to reader's comments about the article, "Peery's Peril" which was written by Cathy McKitrick and published in the Standard Examiner on Kanuary 18, 2015. The article, is about the Peery Apartments in Ogden, Utah and the Ogden Housing Authority's decision to terminate the housing assistance contract for the building. Rather than posting a reply to each comment and undoubtedly starting a heated debate over the facts, I chose to post this single reply here on our Blog. that clearly show what caused the damage to the building. The article was intended to bring attention to my tenant's situation, and the Ogden Housing Authority's mistreatment of them throughout their process of canceling our HUD contract. The article was not meant to chronicle the many issues of Kier Management, or my allegations of their failure to maintain the property as specified in our contract together. In fact, the only purpose in mentioning Kier in the article at all, was to make it clear that it was their neglect and failure to maintain the building, that caused the damages that the Ogden Housing Authority decided to terminate our contract with HUD over. Nevertheless, since Kier Management chose to elaborate on the subject, I will address their comments, at the end of this post. First off, we are grateful to Cathy McKitrick @catmck for taking the time to write the article and give this story some well needed attention. However, some of the more pertinent facts were overlooked and not reported on. That being said, I wanted to take this opportunity to set the record straight. I bought the landmark Peery Apartments in 2005 and hired Kier to manage and maintain the property, not only because I live out of state, but because Kier had owned the building for nearly two decades prior and had significantly rennovated the property, in order to obtain the HUD contract on it. Initially, after making some visits to the property during the first year or so, I determined, with a few exceptions, that Kier was adequately caring for the building and that everything was running smoothly, as they claimed it was. I realize now, that my mistake was in notifying Kier that I was coming, rather than making my visits a surprise. In 2009, Kier Management notified me that they were electing to terminate our contract. I traveled to Ogden with the intent of hiring another management company, but when I arrived at the building, I found it to be severely run down and in a serious state of disrepair, in stark contrast to the way I was led to believe it was being maintained by Kier Management employees. Among the many damages that Kier left me with, were the water damaged and rotting soffits and eaves, that Ogden Housing cancelled our contract over. The eaves were not damaged when I bought the building, and in a statement provided by their attorney, Kier admitted that the soffits were damaged at one time, but they were repaired/replaced in 2003, two years before I bought the building. That is all I am going to say about Kier's neglect and mismanagement of the property. Anyone who is truly interested in those facts, is welcome to browse the pages of this Blog to see it for themselves. There is a listing of posts by topic on the right hand side of this page. We spent many thousands of dollars over the next four years and countless man hours, getting the building turned around, which included: Repairing as many of the damages as we could; Correcting dangerous and improperly made repairs; Eliminating a severe cockroach and bed-bug infestation; Correcting numerous fire and safety hazards; Removing over one thousand pounds of pigeon droppings from the building that presented a serious health risk to tenants, while making improvements to the building, in order to provide a safe, clean and decent home for our tenants to live in. In January 2014, the building was cited by the Ogden Housing Authority, for the damage to the soffits along the building's roofline and gave me 30-days to have it repaired. Because a significant part of the repairs were paint related, which requires consistent temperatures above 50 degrees, I asked the Ogden Housing Authority for an extension to complete the repairs. The Ogden Housing Authority granted my request and allowed me until the beginning of April to complete the repairs, still placing the deadline at a time when temperatures were mostly below 50 degrees. To further reduce my income, the Ogden Housing Authority started preventing me from renting our vacant units by refusing to send us any new applicants for more than 5-months, while the fully refurbished units stood empty. Ogden Housing then required me to have a lead based paint inspection done, by a state certified inspector, even though Ogden Housing had already made a determination, in writing, that lead paint was present, making the inspection a very costly and needless expense. Unable to reason with Ogden Housing, I took the matter up with the HUD Field Office in Denver, CO. At which time I pointed out that the eaves and soffitss would have been repared long ago, had it not been for serious departures and deviations from HUD program rules, made by the Ogden Housing Authority, with regard to Kier's management of the property, which ultimately cost me many thousands of dollars. Money that could have been better used to make the required repairs. HUD quickly realized that without income, I would not be able to make the repairs and they asked the Ogden Housing Authority to start sending us applicants again. HUD also advised them to stop preventing us from renting our vacant apartments. 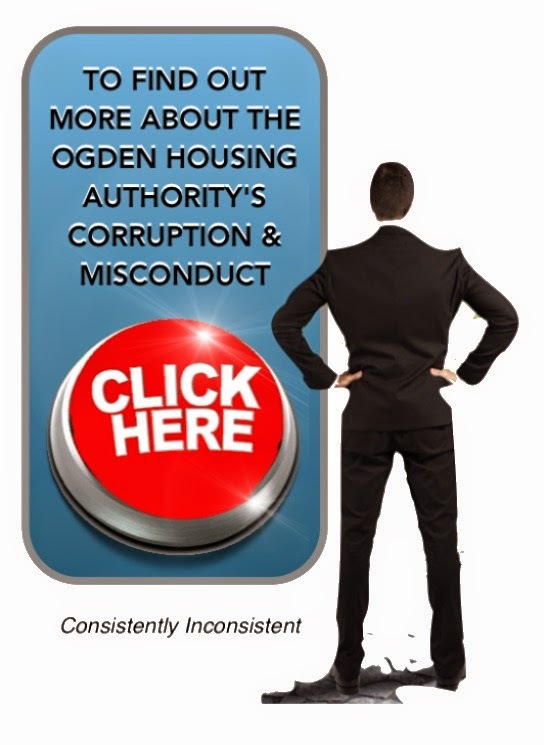 However, the issues of housing misconduct, that I brought to their attention, were apparently swept under the rug and never addressed, beyond HUD asking the Ogden Housing Authority if the allegations were true. The loss of income from being prevented from re-renting our vacant units, combined with the 4-occupied units that Ogden Housing stopped making the assistance payments on, caused me to fall so far behind, that I could not recover from the losses and still make the repairs in the time Ogden Housing allotted me. Ordering me to make repairs and then knowingly cutting off and/or reducing my only source of income, falls far short of the claims the Ogden Housing Authority made in the article, about working so closely with owners to get repairs made, which they would certainly have a hard time proving, given the facts of this case. The risks associated with lead based paint have been known for many years. In fact, the manufacture of lead paint was banned in this country, some three decades ago. According to reports that HUD publishes, the highest risks are to children under 6-years of age, and pregnant women. Of the 11-remaining households in my building, only one falls into those high risk categories. If the health threat to tenants in those high risk groups was suddenly so dire, why did the Ogden Housing Authority only choose to stop paying the rents for the families in those groups, rather than requiring them to move out of the building, for their own protection? Evidently, HUD doesn't really care if tenants live in hazardous conditions, just as long as they're not paying for it. If the risk suddenly becaume so great, that the Ogden Housing Authority was compelled to stop paying the rents on some units, and prevent me from renting my vacant units, then why were they not compelled to do so for the last 5-years, knowing that the damage was equally outside the acceptable limits in 2009? If, after allowing the damage to go un-cited and unmentioned for 4-years, the Ogden Housing Authority suddenly decided that it needed to be repaired, then where is the logic in cutting off my only source of income, knowing that it would prevent me from making the repairs? Because the Ogden Housing Authority didn't want the repairs to get done. During the 2009 HUD-HQS Inspection, the building was cited for a long list of deficiencies that Kier refused to correct, unless I paid for the repairs up front with my credit card. Because I had already suspected that Kier was misappropriating money, I told them that I would not just arbitrarily give them my credit card number, until they gave me an actual dollar amount for the repairs. Despite their repeated promises, Kier never gave me that number and I never gave them my credit card number, and according to Kier, the repairs were not made. Surprisingly, some weeks later, I received a letter in the mail, notifying me that the building had passed inspection and the contract would be renewed. The real surprise however, didn't come until the following year, during the 2010 HUD-HQS Inspection, when I discovered that the 2009 deficiencies were never corrected, yet somehow the HUD contract got renewed. Even more surprising was that the same deficiencies were cited again. The only difference between then and now is that when Kier failed to make required repairs within the time they were allotted, the Ogden Housing Authority did not terminate the HUD contract. Instead, they signed off on repairs that were not made and renewed the contract with HUD. Now, how do you suppose that happened? When my tenants asked the Ogden Housing Authority why they were terminating the HUD contract, a number of them were told that it was because the Ogden Housing Authority was sick of the things I had been posting on the internet about them, and about Kier Management. I find it odd that Ogden Housing would even care what I was posting on the internet about Kier, unless what I was posting, happened to implicate them in federal housing misconduct. In the article, Kier Management tried playing the victim, stating that I owed them money, which they so graciously chose not to sue me for. What they didn't say, was that the reason they did not sue me, was because from the beginning, they were in constant breach of our contract, and the overwhelming amount of documentation stored on this Blog and our Facebook Page shows that they not only breached our contract, but they also neglected the building and failed to maintain it per the terms of our contract. Kier also claimed that I have been badgering them. The badgering they refer to is the posting and sharing of the information on this Blog on social media sites like Twitter and Facebook. in an attempt to keep other property owners who might also be in a similar situation, informed on things to look for that might indicate their properties are being mismanaged. Finally, Kier stated that I posted the Social Security numbers of their President and Vice President on the Internet. What they didn't say, was that those numbers were obtained from fraudulent bank documents relating to accounts that Kier opened in my name, using a phony driver's license number and other phony identifying information about me. 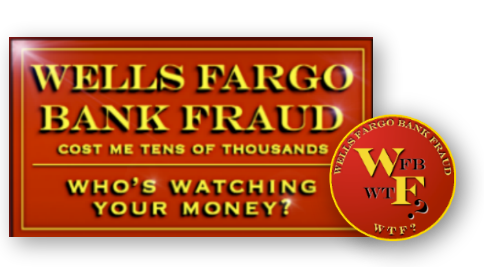 Given that they used phony information about me to open the accounts, I had no reason to think that any of the information on the bank documents was valid, including their Social Security numbers, which I immediately removed from the Internet once I became aware of it. The Ogden Housing Authority was certainly aware that the building's soffits were being damaged while under Kier's management. 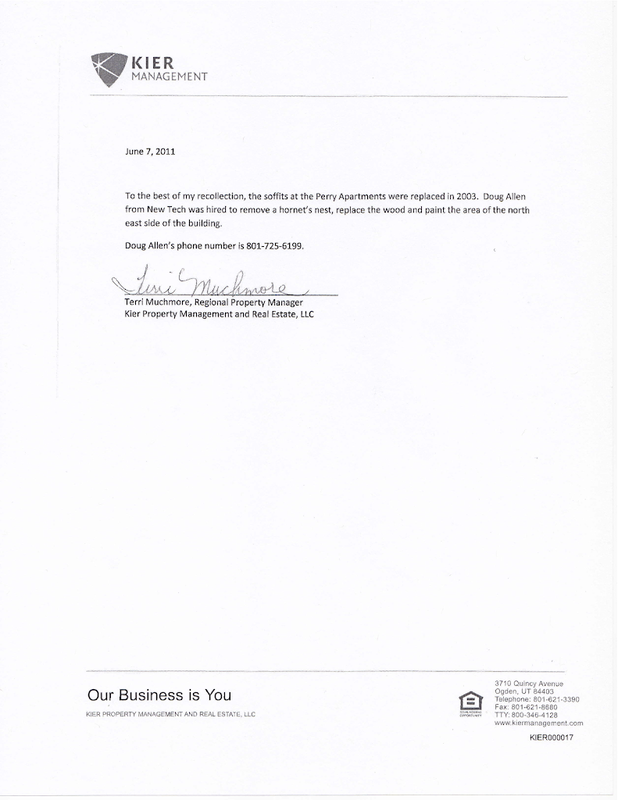 They were also aware that the damaged areas were well beyond HUD's acceptable limits, yet it was never cited or brought to my attention while Kier managed the building, despite the fact that OHA / HUD inspectors were at the property at least 29 times that can be confirmed, each time passing under the damaged areas to get into the building. The Ogden Housing Authority was also aware that upon failing the 2009 HUD-HQS Inspection, Kier Managment did not correct the deficiencies cited in the time they were allotted. In fact, they never made the repairs at all, yet somehow, they were able to get the OHA/HUD inspector to sign off on repairs that were never made and got the contract renewed. I know this to be true, because the same deficiencies were cited again during the HQS Inspection the following year. CONVERSELY, AFTER THE 2009 HUD-HQS INSPECTION, THE OGDEN HOUSING AUTHORITY VIOLATED HUD RULES BY FAILING TO TAKE THE SAME ACTION AGAINST KIER PROPERTY MANAGEMENT, AFTER THEY FAILED TO CORRECT THE DEFICIENCIES CITED DURING THE 2009 HQS INSPECTION, IN THE TIME THEY WERE ALLOTTED. THE OGDEN HOUSING AUTHORITY'S OWN INSPECTOR SIGNED OFF ON THE 2009 LIST OF DEFICIENCIES AS BEING CORRECTED, WHEN THEY HAD CLEARLY NOT BEEN ADDRESSED, MAKING IT NOTHING SHORT OF HUD FRAUD WHEN THE CONTRACT WAS RENEWED. UNBELIEVABLY, THE OGDEN HOUSING AUTHORITY STILL INSISTS THAT THERE IS NO CORRUPTION OR MISCONDUCT WITHIN THEIR AGENCY, AND THE TERMINATION OF MY HUD CONTRACT WAS NOT THE RESULT OF RETALIATION, CORRUPTION OR MISCONDUCT ON THEIR PART. When all of the facts are considered, rather than just the facts that were reported on, it becomes evident that in the termination of our contract with HUD, the Ogden Housing Authority acted out of retaliation for the things I had posted on the Internet about their misconduct with Kier Management. It also becomes evident that Ogden Housing placed their mission to terminate my contract, above the wellbeing of my tenants, who are now being forced to leave the Assistance Program and move out of the homes they love, in lieu of loosing their assistance benefits all together. In exchange for voluntarily leaving the Program, the Ogden Housing Authority promised my tenants Housing Choice Vouchers. The Housing vouchers entitle the tenants to choose any place they want to live, with some exceptions. According to a letter the tenants received from the Ogden Housing Authority, the housing they find must not exceed the dollar amount set by the Housing Authority, including the cost of their utilities. The place they choose must also pass a housing inspection, and it CAN NOT be the Peery Apartments. The voucher also entitles the tenants to pay their own utilities, (which are currently included in the lease under the current Program) and to take on additional expenses, like significantly higher security deposits and amenities like internet and wi-fi, in addition to their moving expenses which they did not ask for,or want. In fact, the Voucher Program not only entitles my tenants to incur these expenses, it requires them to. To address these issues, Ogden Housing offered to help the tenants pay the security deposits on their new housing, which could be as high as $900, in the form of a loan which must be paid back, but didn't know if there were any funds available for that purpose. To help offset the cost of their utilities, which are currently included in the rent, Ogden Housing informed the tenants that there are assistance programs that they could apply for, but could not guarantee that assistance would be available to them. In their rush to terminate our contract the Ogden Housing Authority is requiring these income restricted families, many of whom do not have cars, to go out in the dead of winter to look for other housing. Lastly, in their most egregious disservice to these 11-families, the Ogden Housing Authority intentionally misled them into believing that they had until March 8th to move out, when in fact, Ogden Housing will stop paying their rents on January 31st, in an obvious attempt to force me into an eviction situation with my tenants and ultimately make me out to be the bad guy. Unfortunately, their plan failed. Thankfully, as they claim, the Ogden Housing Authority is acting in the best interest of these 11-families. Today is January 31st, the last day that Ogden Housing will pay my tenant's rent, yet many of them have not been able to find other housing yet, and are still living in the building. This, despite notifying Ogden Housing that my tenants had been misinformed during their January 8 meeting and asking them to clarify their requirements with them, which they did not do, further supporting that the misinformation was intentional. Unlike the Ogden Housing Authority, I will not throw my tenants out on the street in the middle of winter, nor will I ask them to leave until I am certain that they have found a viable housing alternative and are in no danger of becoming homeless. After all, somebody has to have some morals and integrity.